Unless you’re a seasoned pro at buying perfume, it can be difficult to understand the differences between different perfume types. Some of them say Eau de Parfum, others say Eau de Toilette, and other bottles say Eau de Cologne. 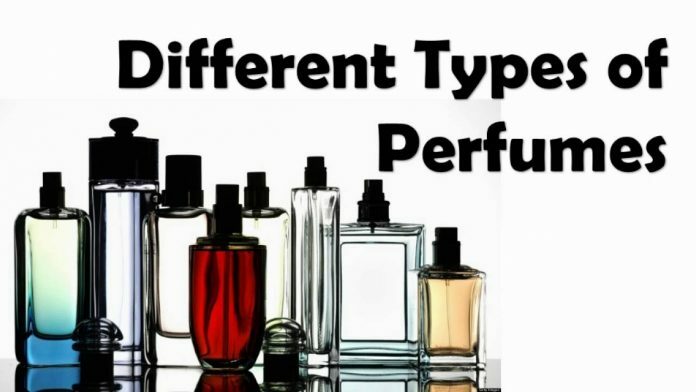 Which probably has you wondering: what’s the difference between these different perfume types? And what’s even more perplexing to most people is all of these perfumes look alike, which doesn’t make it even easier to choose what’s appropriate for you. All of this confusion has prompted us to write the guide that you are currently reading. 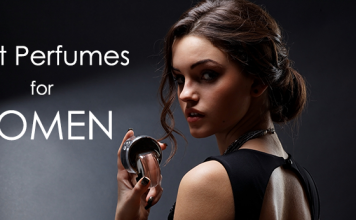 We believe that every shopper should know exactly what they’re buying when they’re looking for their favorite perfume. We also believe that there shouldn’t be any ambiguity to the whole process. Hopefully, after you read this article, you’ll have a much better understanding on how to distinguish one type of perfume from a different type of perfume. Perfumes come in five basic types. These types include Perfume, Eau de Perfume, Eau de Toilette, Eau de Cologne, and Eau Fraiche. Each of these types of perfume are basically just an indication of the concentration level of the product found in the bottle and says nothing about the brand or the fragrance notes found in the perfume. Let’s take a closer look at these four designations and see how they differ from one another, shall we? Perfume: Perfume contains the highest percent of perfume extract of any product available and generally tends to be a heavier, oilier product than other perfumes. On average, it contains anywhere from 15% all the way up to 40% perfume essential oils in it. Most of the time this product is easy to identify, even before reading the label, because it usually comes in heavier bottles that are equipped with ornate stoppers. As you’ve probably realized, this product is not only the strongest of the perfume types but is also usually the most expensive type of product. It’s also generally a product that’s dabbed on certain pulse points and isn’t used all over the body. This product lasts approximately 8-hours. Eau de Perfume: Commonly listed as either Eau de Perfume or sometimes Parfum, this product has the next highest concentration of essential perfume oils in it. Most of the time, it typically has anywhere from a 10% to 15% perfume essence concentration in its formulation. This means that it has slightly more alcohol and water in its formulation than perfume does, but still maintains a high level of essential perfume oils. It also means that the scent is usually lighter and doesn’t have the longevity of most perfumes. Unlike perfume, this product is also hard to identify it only by its bottle because it can come with either a stopper or sold as a spray. Either way, this product is usually cheaper than perfume, but still remains among the higher end of the price spectrum. This product last anywhere from 4 to 6-hours. Eau de Toilette: As you’d probably expect, this type of fragrance has a lower concentration of perfume essences in it than either perfume or Eau de Perfume contains. Usually, this product will contain anywhere from 4% to 15% concentration of essential oils in its formulation. This makes it an extremely light formula that is most often sold only in spray bottles. Unfortunately, it also has a relatively low combination of essential oils and a relatively high percentage of alcohol. Its quick dissipation is why many people use it only for day-to-day use. By the end of the day, it usually has fully dissipated, and the wearer can then switch to a heavier perfume or Eau de Perfume for their nighttime activities. It will last anywhere from 2 to 3-hours at a time. Eau de Cologne: Nowadays, most colognes are listed as male fragrances, but there are still plenty of female perfumes which still use this designation. Usually, when a product says that it’s a cologne, it’s an indication that it has a low concentration of fragrance elements in it. These products are the one of the most diluted perfume versions and contain anywhere from 2% to 5% fragrance oil concentrations in their formulations. Which not only makes them an extremely light product, but also an extremely inexpensive product. 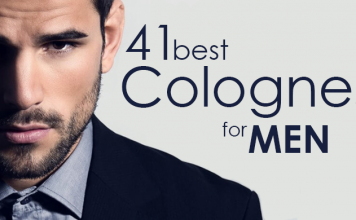 You will almost never see a high-end perfume listed as a cologne in most retail stores. Instead, these products are usually used as after shaves or simply as splash-on fragrances. Expect this product to last approximately 2-hours at a time. Eau Fraiche: This perfume is not only one of the most inexpensive products available, but it also has one of the lowest concentrations of essential oils available. Most Eau Fraiche products contain anywhere from 1% to 3% of essential oils. Since they have such a small concentration of essential oils, they are usually extremely light and dissipate within an hour or two of being sprayed on. Yes, that’s right. This product will only last about an hour. A fun fact about this product is that its name literally means fresh water, which is easy to see why after you buy it. After all, it’s basically scented water that you spray on to freshen up. The above descriptors of the different types of perfumes are only a general guide, however. It’s not necessarily a fool-proof indication of product quality. After all, there are some high-quality Eau Fraiche products, and also some low-quality products. The same goes for most perfumes. There are very good high-quality ones and extremely cheap smelling ones. All the above categories only tell you about the concentration of the fragrance quality in the perfume. It doesn’t tell you if the product is going to be a high-quality one or not. A lot of things go into making a high-quality product, and that includes such things as the quality of the essential oils, the method used when making the perfume and how long it’s been aged. As usual, checking out perfume reviews and using your nose as your ultimate guide will assist you in finding the best quality perfume available.